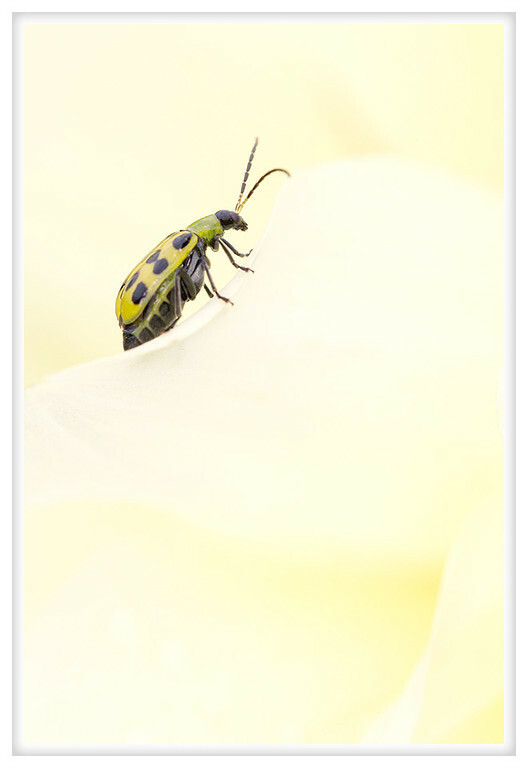 This little guy is a cucumber beetle. They are terrible pests eating agricultural crops and flowers with equal abandon. Look at his distended abdomen, he has been gorging on the flowers at Swan Island Dahlias and it really shows!